If you’re reading this from Austin, make sure to check out the premier of Sam Wainwright Douglas’s Citizen Architect, a documentary of Samuel Mockbee’s revolutionary Rural Studio design program in Hale County, Alabama. Mockbee, who died in 2001, started Rural Studio at Auburn University in 1993 with fellow architecture professor Dennis K. Ruth. 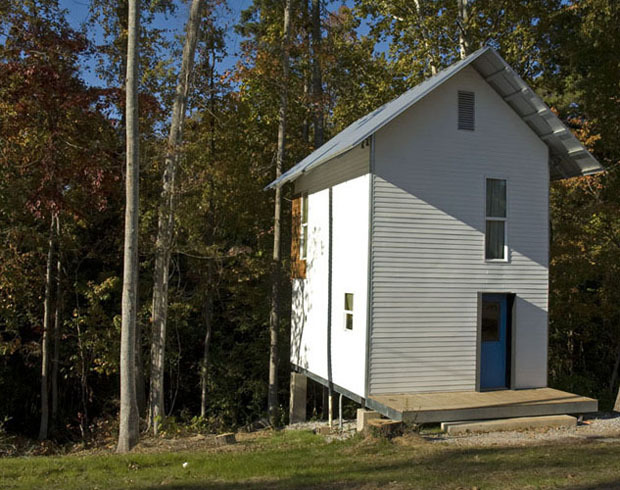 The idea was, and is, to teach architecture by doing architecture–designing and building houses in rural Alabama. These days, so-called “design-build” programs are common in architecture schools (Yale’s has been going on for 40 years), but Rural Studio is the most aggressive in its philosophy–it is the architecture school, not just a required class. With groups like Architecture for Humanity and Project H becoming so popular, it’s important to remember where it all started.